How To Start A Blog In 2019 That Creates $4000 Per Month! 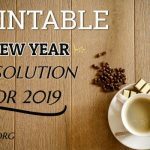 Home » Blogging » How To Start A Blog In 2019 That Creates $4000 Per Month! “What if I said that it’s everyone’s cup of tea to have a blog up and running? I know it’s daunting for you that I am suggesting you start a blog. Like your head must be spinning with the what-ifs and the whys and the hows etc. But Don’t worry I have got you covered. 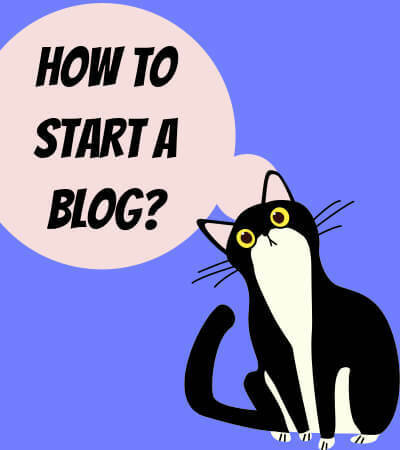 I wish to walk you through the whole process of establishing a blog. It is a driving tool and no one can deny it. The blog helps you earn a decent amount of money. Expand your horizon. Ponder upon new fields and establish yourself in that particular Niche. Write what you relate to, write about experiences, facts, ideas, etc. You have different niches at your disposal to achieve the above. You can free yourself from the 9-5 tedious job. You can travel more often. You can work from home. A blog helps you articulate your thoughts and pen it down in the form of a post or an article. You develop confidence and achieve mental relief just by a simple post. Pathway to becoming a writer! People do use a blog as a way to attract traffic and later on launch their books. You start becoming a little Internet famous. Check out this amazing host & make your first blog experience easy! Now, that we have covered the why let's get to the how. 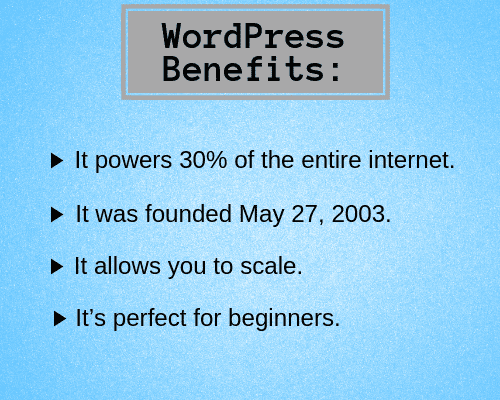 Before the how I would like you to know more about WordPress. So go ahead and follow the step-by-step instructions below to ​get set up! 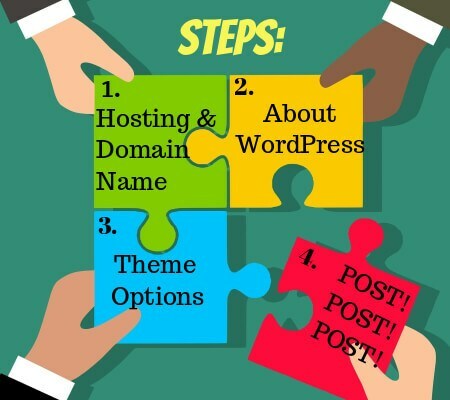 STEP 1: All About Blog Hosting And Domain Name! 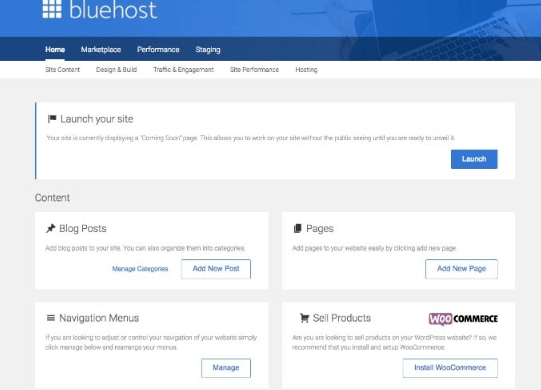 Let me introduce you to BLUEHOST! They are quite pocket-friendly! When you sign up, it offers you with a FREE domain name! I mean, we all know how tough it is to meet all the expenses in the earlier stage. 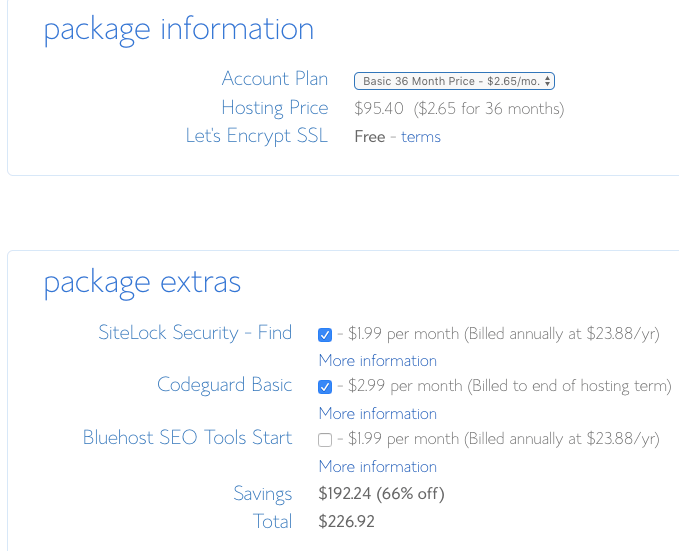 Not to mention, Bluehost makes it all the more comfortable for the beginners to work and establish themselves. For those who aren’t sure about their decision, Bluehost has got that covered too by offering a complete guarantee on their hosting packages. All you have to do is sign up for 12 months or more even then if you decide that it’s not going to work out for you, then you can ask for a full refund from 30 days of purchase. 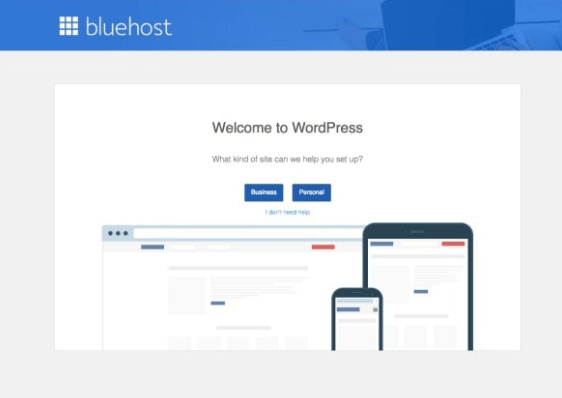 Aren't you glad now you got introduced to Bluehost? 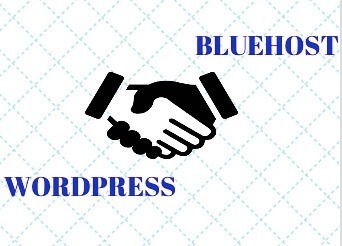 Now that you know about Bluehost the first thing we do is purchase some domain name and blog hosting. here we will store all the files and where we will eventually install WordPress as your blogging platform. CLICK HERE TO MAKE YOUR FIRST BLOG! Below I am going to explain to you how to use the hosting plan and getting the domain name. I have taken a series of screenshots from the site to make it simpler for you. So, to begin the process at Bluehost, click the green Get Started Now button that you can see in this image. 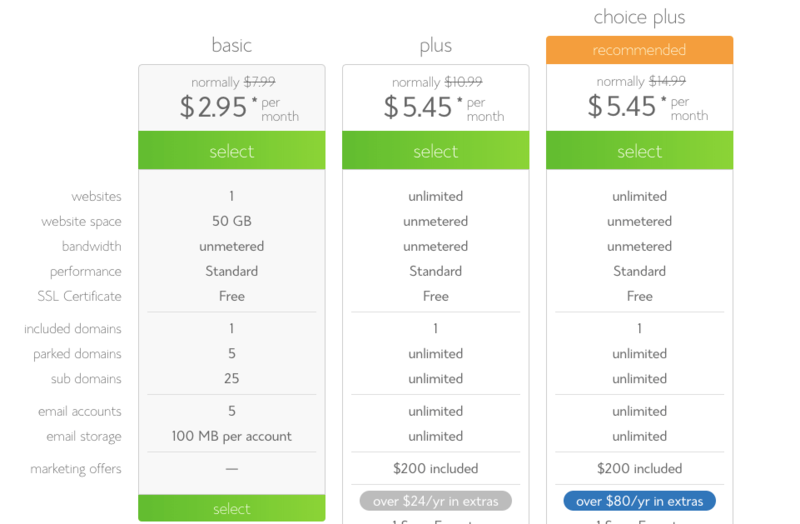 After the above step, on the homepage you will see a list of pricing options. Go to the next page enter in the domain name that you’d like to use. 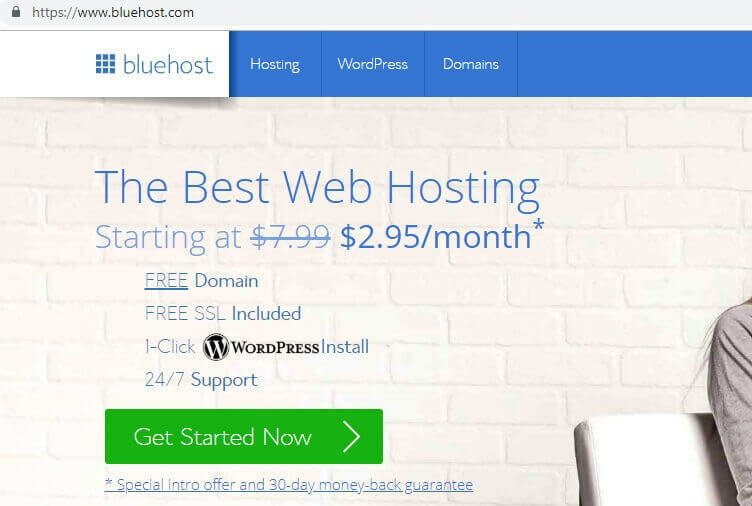 Keep in mind that It’s okay if you’re not totally satisfied with the current domain name because you can add unlimited websites and blogs to your Bluehost account. Yay! Pat yourself on the back because you have completed the first step and you have yourself a blog hosting area. MAKE YOUR FIRST BLOG IN 10 MINUTES! STEP 2: GET WORDPRESS UP AND RUNNING! Bluehost has eliminated a couple of steps in this process, so you’ll get through with the process in no time. You can select a theme which is best for you. You need not worry because if needed you can change it on a later stage. Yay! You made it. You can now go through varied themes and select yourself an attractive theme. I know this whole process can be a bit overwhelming but have faith in yourself that you are going to stick with it and learn the system. I know for a fact that WordPress is an empowering tool and if you make an effort to learn it, you’ll make yourself a fantastic blog. STEP 3: EXPLORE THEME OPTIONS! As a beginner Free themes are a great place to start. If you have a few extra dollars to spare then invest in a paid theme. 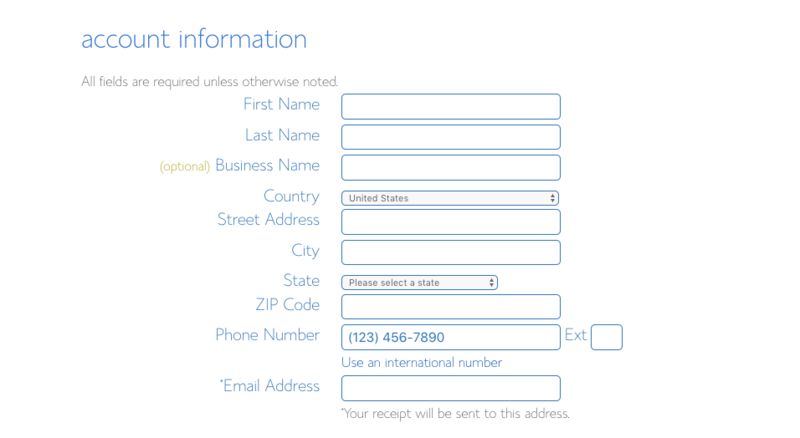 It would be perfectly fine if you opted for a free theme temporarily and then on a later stage shifting to a paid one. You can use one of WordPress theme it has it pre-installed under the “appearances” and “themes” tabs. Just click customise to switch themes. 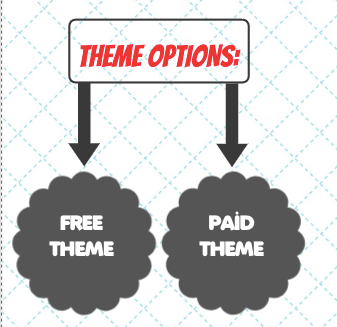 Why opt for a Paid theme when you already have a free one at your disposal? The answer to that is simple. You have an entire support staff dedicated to helping you to succeed. Not to mention 95% of people running successful blogs use it too. I have a perfect recommendation for you to try. Divi theme is customisable and very user-friendly. I recommend it and its what most bloggers prefer using. The design of your homepage along with other pages on your website are customisable. They have excellent customer service. Divi theme also has a no-questions-asked, 30-day money-back guarantee. It's a risk-free investment! 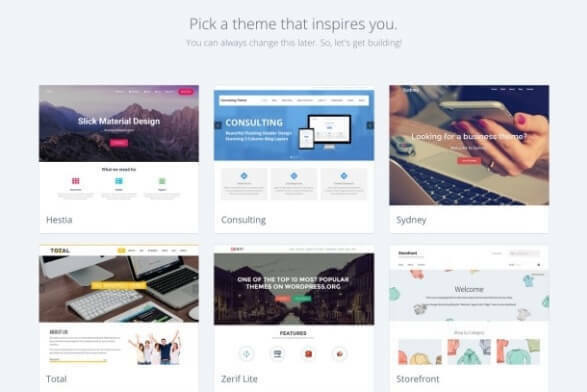 So when you purchase Divi, you get access to an entire market of themes, that includes over 70 other themes. If you don’t end up loving Divi, you can choose from the different themes. Can you believe it? We’re actually at the end! Let's get started on the most exciting part. "THE POST"
STEP 4: POST! POST! POST! Now would be the time to have a look at how to create amazing content for your blog. 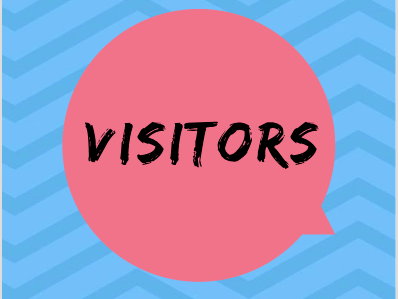 In the end, it all comes down to Visitors. Stand out amongst your peers! It’s important to find a way to make your blog distinct from the rest. Take a look at your competition before content curation. It is a vital step in establishing a unique blog. Sit with a planner and make a detailed structure of what your blog might look like in the coming days. Trust me, being goal oriented will take you far. Jump start a mailing list! A mailing list is an integral part of any blog. It allows you to promote new posts, product or affiliates and can serve as protection from changing SEO rankings. Blogging financial success relies on networks. Make friends, share with other bloggers in your niche your content and links to them. These connections will help over time. What were some of the problems you faced when you first started in this field? If you have an experience you would like to share with other viewers which might help them feel free to share it. Which Niche are you currently obsessed with? 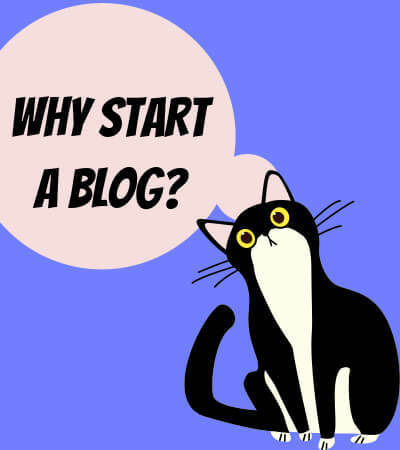 CLICK HERE TO START YOUR BLOGGING JOURNEY! You can read following articles to build successful blog. 1. Done For You Blog Templates To Create Your Next Blog Post In 5 Minutes! 2.50 Eye-Catching Blog Titles That Gets You More Clicks! 4.Need More Affiliate Commission? Checkout This Product Review Template! 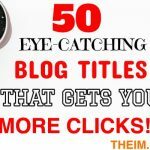 50 Eye-Catching Blog Titles That Gets You More Clicks! How You Can Make $200 Per Day? 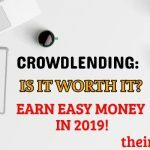 How To Use Crowdfunding And Top 5 CrowdFunding Sites In 2019!